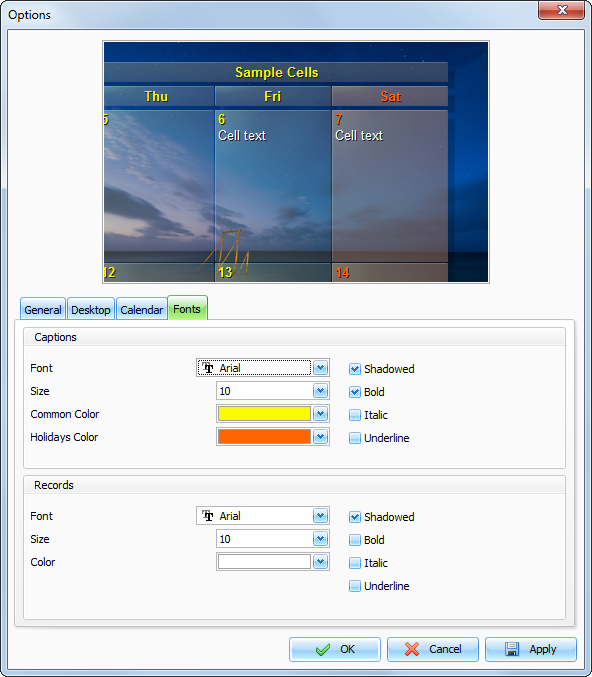 In this window you can change the Desktop Calendar fonts options. In the preview area you can see the cells preview with sample text. Here you can see all changes before apply the options. Common Color - a font color, which will be used to draw desktop calendar header, week days and numbers, and work days dates. Holidays Color - this font color will be used to draw holiday dates. Also you can choose any captions font style: Shadowed, Bold, Italic and Underline. Color - a font color, which will be used to draw your entries.